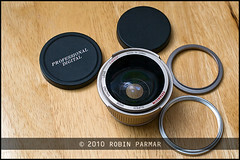 Here's the front view of the wide-angle adapter, together with the front and back caps and the two adapter rings. Note there is no brand name visible. 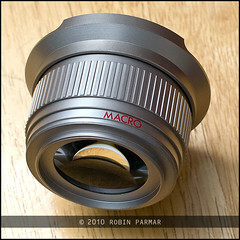 Rather, the rim is marked "Titanium Super Wide Macro Lens 0.42xAF Made In Japan". I am not sure what makes this an AF lens, since there is certainly no focus mechanism included! You might also note the outer ring with two flanges. I had no idea what function this served but it turns out it is a lens hood (!) even though it pulls out only a smidgen and extends only a similar smidgen. Here follows the barrel view, showing that the bottom section at the mount is marked "MACRO". This small part unscrews if you want to use the macro feature without wide angle. So really this is two adapters in one. Still no sign of a manufacturer. But Bower is marked on the adapter rings, so we can assume they made the entire contraption. 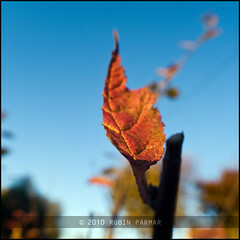 I cropped these square to eliminate the strong vignetting in the extreme corners, and to mitigate against the distortions at the edge of the frame. Beyond those characteristics there are a couple other observations I can make. The colour is excellent. 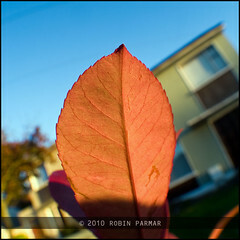 The exact point of focus is sharp enough but don't expect proper macro lens precision. Far from it! This lens is best for painting a scene in a soft bokeh and rendering perspective rather unreal. I shelled out an entire 12 quid (delivered) on this item; it was worth that sum to fool around a bit. It generally goes for between 30 and 50, depending on your currency and where you buy it. Included is a carry bag and a rather useless instruction sheet. I have to say the build is very solid and the lens is coated. From these tentative experiments I can see how this screw-on fish-eye might be effective for video... but only if cropping the frame is possible. If you don't have the money for a real lens, and want to make something fun, this could be the ticket. Shoot your next spooky Hallowe'en video with it!